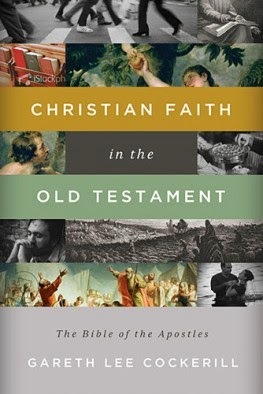 Here’s the second installment of my interview with Dr. Gareth Cockerill on his new book Christian Faith in the Old Testament: The Bible of the Apostles (Thomas Nelson, 2014). If you missed part, you can read it here. Incarnatio: There are many, many characters in the Old Testament. How do their stories help today’s believers know God better? GC: One must remember that the Bible is, first of all, about God. The Bible speaks of its many characters in relationship to the God whom it reveals. Second, the Bible is about God’s establishing a people who will live in holy fellowship with Him. The Bible’s many characters must be understood within their relationship to God and to the people of God. It is for this reason, among many others, that we need the kind of holistic view of Scripture provided by Christian Faith in the Old Testament. The “Example Principle” that I enunciate in chapter three of Christian Faith in the Old Testament is very helpful here. Basically, this principle affirms that, when Old Testament characters act in faith and obedience, they are examples for us to follow. When they act from faithlessness, they are examples to avoid. However, careful study of the Biblical narrative in order to determine how the characters are acting is crucial. It is easy to impose our own ideas on Scripture and come up with rather cheap, sometimes moralistic interpretations, such as the preacher who said that Abraham got in troubled when he went to Egypt because he didn’t take Lot or Sarah’s advice (I have no idea where that was in the text, but the preacher was urging people to take council with other godly people—like Lot?). I give extensive examples of this principle in chapter two—one of those chapters on Genesis that helps us read aright the rest of the Old Testament! Incarnatio: Ritual worship in the tabernacle and later in the temple are central to the Old Testament but very foreign to many present day Christians. How can we overcome that distance in order to understand the significance of Old Testament worship for Christian faith and formation? GC: Without denying the difference, I think this distance is often overplayed. It is a mistake simply to focus on a few odd details of the OT ritual/law. We need to help people get an understanding of the big picture. The whole setting emphasizes both the deep need for fellowship with God and the horrible separation that human rebellion has brought between us and God. The sacrificial ritual should make us feel the urgency of atonement that can only be provided by the giving of innocent life. There is no magic bullet here. We simply have to teach these things to people, to help them enter the world of Scripture and come into this way of seeing things. If we do not, they will have a faulty understanding of the Person and work of Christ and deficient view of salvation. One problem is simply modern prejudice—people look at things and go, “ohh, primitive.” They need to be challenged to have an open mind, to come to understand the depth that is there in these Scriptural practices. This isn’t nearly as big a problem in some parts of the world—say Sierra Leone, West Africa! I’m not so sure it need be such a problem in this age that is more open to the mystical. Incarnatio: How should Christians relate to obscure or seemingly harsh Old Testament laws? GC: I don’t profess to be able to answer this question in regard to every law. Some remain a mystery. However, I have made several suggestions in Christian Faith in the Old Testament that are too long to describe here in detail—I’d have to reproduce whole chapters of the book! I am referring especially to “The Pattern Principle” in chapter five. That chapter is about the continuing relevance of the Old Testament law. It makes some other helpful distinctions, such as between the “Greatest Commandments,” the “Ten Commandments,” and the “Everyday Commandments.” I have also pointed out in the book some important things about sins that incurred the death penalty. First of all, people could only enjoy the blessing God intended if the Promised Land was free from these sins. It was to be a type of the New Heaven and Earth in which no wickedness dwells. We must always remember that none of us can enjoy all that God has for his people in a world that allows sin. Second, God himself often extended mercy and did not exact the death penalty—one thinks of David, even of the whole nation beginning with the golden calf at Sinai and extending throughout the history of God’s Old Testament people. Far from being harsh, the Old Testament is one long story of God’s mercy. The death penalty showed how horrible these things were and reminded God’s people of how they destroyed the blessing of the Land. There is more on this in Christian Faith in the Old Testament. Incarnatio: What do Christians risk when we neglect the Old Testament? GC: I address this question at some length in the introduction to Christian Faith in the Old Testament. In brief, we risk almost everything. We are likely to have a trivial idea of God, a superficial understanding of sin, and thus a very inadequate view of salvation. Neglect of the Old Testament leads to an over emphasis on the individual, that is on “me,” something to which our age is already very prone. Without the Old Testament we are in danger of losing a true sense of the deep community of God’s people and the cosmic nature of salvation. In short, we are in danger of sentimentalizing our religion. Incarnatio: Will we misunderstand Jesus if we don’t read the Old Testament? If so, how? GC: This question is, of course, an important sub-set of the previous question. The answer is obvious. We are liable to misunderstand him in every way! His total self-understanding, and the way in which the New Testament understands him, is built on the Old Testament—remember, the Old Testament was his and his followers’ Bible. The New Testament understand him as the Messiah of David’s line and the Son of God, the fulfillment of though greater than Moses, more than a Prophet, the Suffering Servant, the Son of Man, the Great High Priest, the Passover Lamb, the Day of Atonement Sacrifice, the one lifted up as Moses lifted up the serpent in the wilderness, the new Adam, etc. He, in himself, embodies and renews Israel, the people of God. The history of that people finds its fulfillment in him, because he is the fulfillment of God’s promise to Abraham. All of this comes from the Old Testament. Furthermore, these are not isolated items taken from the Old Testament. Within the Old Testament they form a coherent whole. If we do not understand the Old Testament, we simply will not rightly understand him—we will have a Jesus made in our own image. United Methodists are having an important and, at times, lively debate over the way we interpret and appropriate different parts of scripture, not least the Old Testament. The debate over how we approach scripture has emerged as part of conflict over differing understandings of human sexuality and has focused most recently around posts from Adam Hamilton and Bill Arnold. The questions under debate are important, and I want to draw attention to a new book from a Wesleyan scholar that has potential to guide us in learning how to read the Old Testament scriptures. The book is Christian Faith in the Old Testament: The Bible of the Apostles (Kindle) by Gareth Cockerill, Academic Dean and Professor of Biblical Interpretation and Theology at Wesley Biblical Seminary in Jackson, Mississippi. He blogs at From Mangoes to Mechizidek. Dr. Cockerill is a friend and colleague, and I’m excited about this book because I think it has potential to significantly deepen Christian engagement with the Bible that Jesus and his first followers read, prayed, and lived. I conducted this interview before the posts from Hamilton and Arnold were published. So, you won’t see direct engagement in explicit language they use. Nevertheless, Cockerill’s book is dealing with the very same issue and will function as a reliable guide. I’ve divided the interview into two posts. Part 1 follows. Check back early next week for part 2. Incarnatio: Why should the average Christian embrace serious study of the Old Testament? “we end up with an anemic view of Christ, a superficial understanding of the atonement, and an individualistic view of the church. Our God shrinks because we no longer see the majesty of his creation, the grandeur of his work in history, or the glory of his salvation in Christ. We have little basis for social ethics. We live in rootless isolation because we no longer see ourselves as children of Abraham and part of the people of God, stretched out across history and on its way to glory. If we do not have The Bible of the Apostles, we will not have the true apostolic faith” (page 13). Incarnatio: You’ve spent considerable time serving as a foreign missionary. How did that experience affect your work on Christian Faith in the New Testament? GC: I am sure that my nine years in Sierra Leone, West Africa, have had a profound impact on this book. I began my time in Africa as chaplain and Bible teacher for more than four hundred students at Kamakwie Boys Secondary School. The school was taught in English, which was a second language for all those who attended. Most students had no understanding of the Bible’s big picture. Some didn’t even know the Old Testament from the New. I began to work hard at putting the Bible’s message together in a way that would be clear and understandable for them. As time went on, I found that it was difficult to adequately address either the animistic or the Muslim world view without a solid knowledge of the Old Testament and the way in which it was fulfilled in Christ. Incarnatio: You’ve given a significant amount of energy to working on the New Testament book of Hebrews. How has that work prepared you to write this book on the Old Testament? GC: Anyone who studies Hebrews must wrestle with the way in which the Old Testament is fulfilled in Christ and with its continuing relevance as Scripture. After all, Hebrews begins by affirming that the God who spoke in the prophets has now given his final self-revelation in one who is his Son. All that follows in Hebrews can be seen as the development of this premise. As the introduction to my NICNT commentary on Hebrews shows, I have found Hebrews approach to the Old Testament both coherent and relevant to contemporary practice. The writer to the Hebrews is confident that, when examined on its own terms, the Old Testament points forward to Christ. Thus I would say that there are three ways that study of Hebrews has enriched Christian Faith in the Old Testament. First, Hebrews’ own understanding of the Old Testament has informed my thinking. Second, Hebrews has encouraged me to examine the Old Testament on its own terms and to see the many ways in which it points forward to fulfillment in Christ. Third, study of Hebrews has led me to look at what other parts of the New Testament, the Church Fathers, and the Reformers say about the continuing relevance of the Old Testament. I have tried to present the insight that I have gained from these sources simply, clearly, and coherently in Christian Faith in the Old Testament. Incarnatio: You devote two chapters to Genesis and six chapters to the other 38 books of the Old Testament. Why did you decide to put so much emphasis on Genesis? GC: This is a very understandable question. The answer lies both in the nature and importance of Genesis and in the purpose of Christian Faith in the Old Testament. None can deny the crucial importance of Genesis. All would acknowledge that the first eleven chapters establish the framework for the rest of the Bible. The Patriarchal narratives in chapters 12-50 are also crucial. The rest of Scripture is about God’s fulfilling his promise to Abraham given and passed on in these chapters. As the beginning of the people of God, the patriarchs and matriarchs embody and set the course for the history of God’s people to come. In brief, Genesis is crucial because the “beginning” is determinative for all that follows. Second, although Christian Faith in the Old Testament gives an overview of the Old Testament, it is not simply an Old Testament survey. Its aim is to show people how to read the various parts of the Old Testament, how the parts fit together, how they point to fulfillment in Christ, and how each part is relevant for today. Simply put, the emphasis given to Genesis prepares us to read the rest of the Old Testament correctly. Part 2 of the interview will go live early next week. 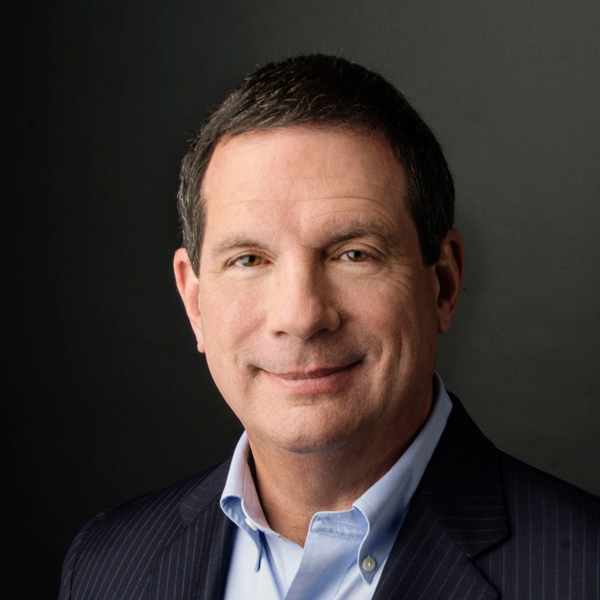 Check in to hear Dr. Cockerill discuss other issues including the importance of the Old Testament temple for Christian worship and what we do with obscure and seemingly harsh Old Testament laws.